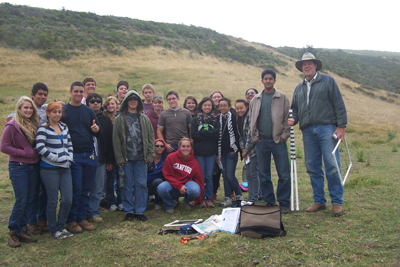 California Range and Natural Resources Camp at Elkus Ranch in Half-Moon Bay is led by University of California Cooperative Extension. Range Camp provides participating high school students with a foundation in the physical and biological sciences that inform us about natural resources and guide our management of them. Range Camp also allows campers to interact with university faculty and career professionals, providing the opportunity to learn about rangeland and natural resource management education and career options. Students interested in being considered for Range Camp should contact the RCD Project Administrator.